We tend to be happier and more productive when we are comfortable, and free of aches and pains. With back related injury being one of the most commonly occurring health problems in the workplace, it is of high importance for offices to find the proper solution to help prevent and combat such condition. Office ergonomic kneeling chairs improve wellbeing in the workplace by encouraging good posture, circulation and core strength. Posture chairs are carefully designed to reduce tension and pain in the back, neck and shoulders and improve breathing. 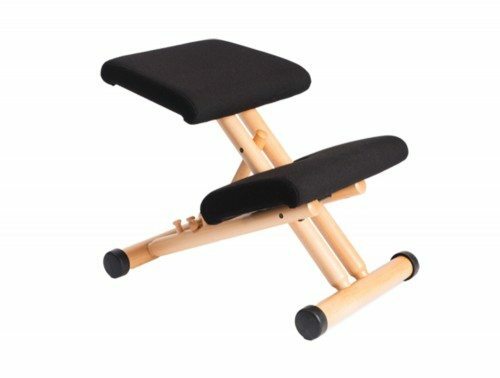 These adjustable kneeling desk chairs are excellent at helping you sit in the correct “S” position. State-of-the-art engineering gives them a remarkable capacity to twist, turn and pivot in response to users’ movements, making them particularly useful for anyone whose work requires them to sit in one place for long periods of time. Many kneeling chairs feature handy gas lifts and adjustable backrests, making them highly adaptable compared to standard office furniture. Ergonomic sitting has largely been implemented by plenty of offices because of the many benefits it brings. Our online catalogue offers an array of unique and innovative kneeling stools with stylish finishes better suited for less formal working environments whether it be at home or in a corporate setting. The ergonomic variable balans kneeling chairs are fast becoming one of more popular choice for offices nowadays. 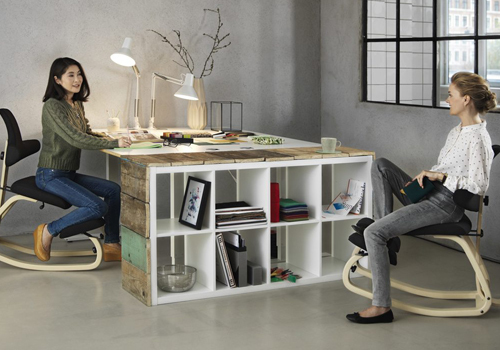 A selection of our posture chairs is perfect for a small home office space as they offer a foldable mechanism. 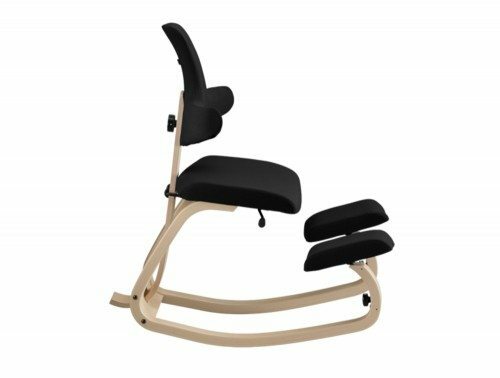 You have a choice of customising your ergo posture chair with a selection of colours like black or blue with a choice of metal finishes such as black or silver for the chair frames. Furthermore, the chairs offer a comfortable fabric upholstery with deep padded cushions. An average working adult spends 50-70% of the day sitting at work. Posture chairs promote good posture and help to prevent neck, shoulder and back pain in the workplace. Whilst sitting on these ergonomic kneeling chairs, you will be using your abdominal and back muscles constantly so you are also engaging in a mini core workout whilst you work. 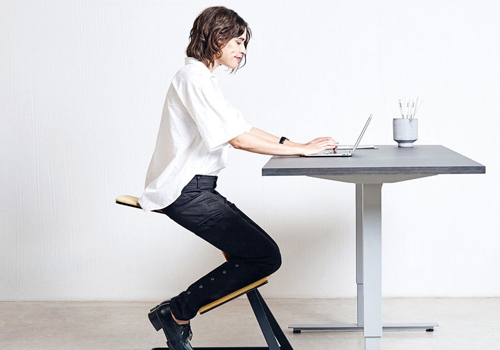 They give users the freedom to move while sitting at a desk for long periods, helping to create a happier, healthier workforce. 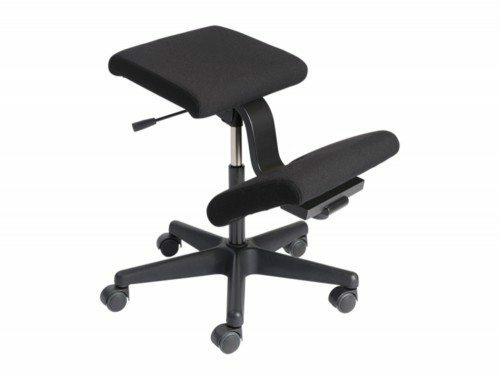 Radius Office Furniture only stock the best kneeling chair for posture, which has been proven to be effective in reducing aches and pains in the office. We offer reasonably priced kneeling office furniture to suit a range of budgets and work environments. Reducing the levels of discomfort in your employees can highly benefit the business as happy employees are more productive and efficient. We showcase exceptional kneeling chairs from some of Europe’s top brands, including Trexus and Varier. With this in mind, you are guaranteed the highest quality of ergonomic chair in your price bracket. Varier is one of the world’s leading providers of ergonomic chairs which are specially designed to reduce back, shoulder and neck pain. 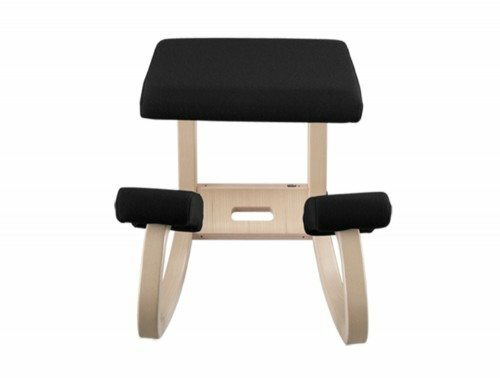 Varier kneeling chairs counter the negative impact of sitting still for long periods by tilting, rocking, turning and pivoting in tune with the subtle movements of their user’s body. The design of Varier’s kneeling chairs is based on the philosophy that we are happier and healthier when we have the freedom to move into the workplace. We offer a range of kneeling chairs, including the Trexus Kneeling Office Chair on Castors Gas Lift Seat, which is particularly appropriate for people who suffer from back pain and are looking for a comfortable alternative to standard seating. This affordable kneeling chair features deep, padded cushions for extra comfort, easy-roll casters for maximum mobility and a handy gas height lift. Also available are a number posture chairs from renowned ergonomic chair brand, Varier. 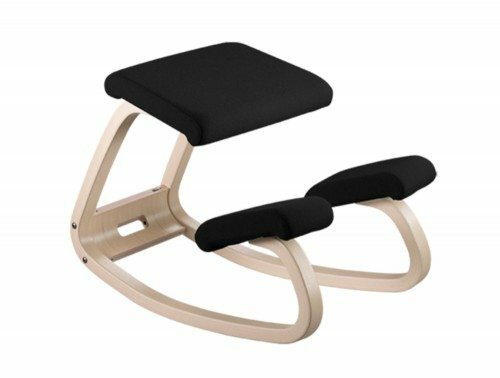 The Varier Balans Kneeling Chair is carefully designed to gently tilt the user’s pelvis and encourage them to sit with an upright spine. 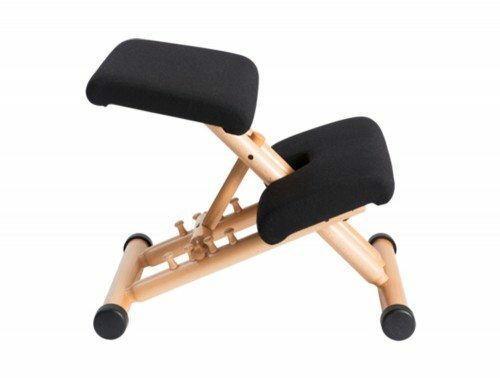 This innovative chair helps to strengthen the user’s core muscles and prevent tension in the shoulders and back, which improves circulation. Radius Office Furniture also offers the Varier Multi Balans posture Chair, which can be adjusted to maximize support and comfort. 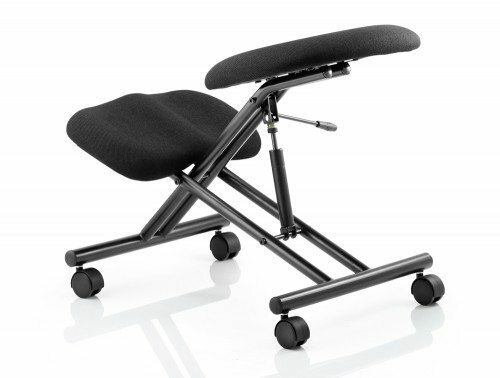 The sitting angle can be adjusted to control the amount of pressure on the user’s spinal disks. It also supports deep breathing and helps to improve circulation, as well as strengthening core muscles and reducing tension in the back and shoulders. 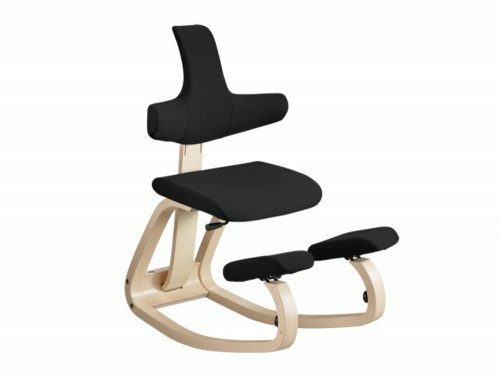 The Varier Wings Balans Kneeling Chair helps users to maintain an upright spine and dynamic posture while they work. 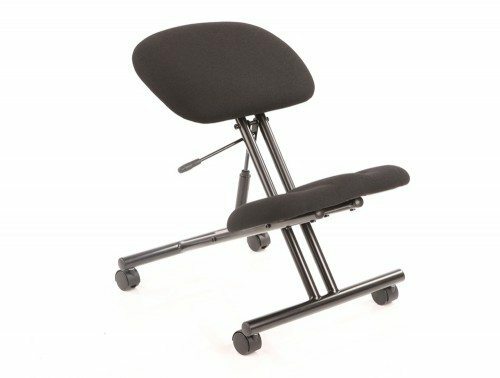 Its adjustable height, wheels and gas lift make this chair ideal for people who want to improve their posture and protect their back at work. If you’d like to find out more about our range of Kneeling Chairs or discuss your requirements, simply request a callback.